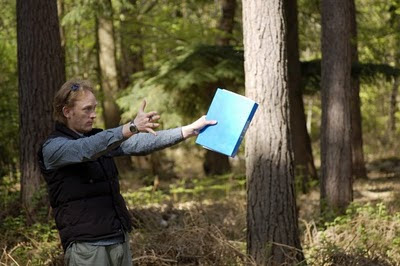 A director is only as good as the cast & crew behind him, more notably line-producer, 1st AD & DOP. As writer/director, you know a lot about the story and the characters, but you don't know everything (e.g listen to what the actors have to say). Shooting on film is expensive but rewarding, not just for you but for cast & crew, too (actors like the buzz, crew raise their game). Regardless of cost of shooting on film, a lot of the budget went on things you don't see on screen, like transport, food, equipment, petty cash and insurance. Your personal life goes out the window. Plus, if you're funding the project out of your own pocket, you experience a whole new stratosphere of stress. Producers, I salute you! Music and sound are vital. Get experts in both fields. I was searching for some short films and came across the trailer origin at youtube and I couldn't resist finding out your website to know more about it. As perceived from the trailer, it is superb...Good Work!